In our Charlotte Mason homeschool, my girls are old enough to keep current events notebooks. This involves keeping track of the two or three most important news events each week, and re-writing them in their own words. The trick to this is finding news I want them to read. I try my very best not to watch the news, as it makes my blood pressure rise too much, and many stories reported these days are not things I think they need to know. Most mainstream media is far too liberal for my taste, and truly, I've had a difficult time finding any one source I felt comfortable with them reading. The opportunity to review Trak, the news magazine for high schoolers from God's World News, came at a great time. In addition to a year's subscription to Trak, I received an email from God's World News telling me we have a membership, which means we receive a print copy of World Magazine, a bi-weekly news publication for adults, as well as full access to online editions of all the God's World publications. They have magazines available for every age, from Pre-K through adult. I cannot tell you how happy that made me! 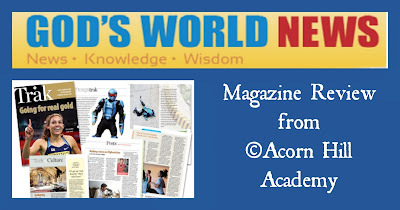 In general, we follow Ambleside Online's curriculum, and World Magazine is one of the suggestions on their list of possible sources for current events. It's published with a Christian worldview; you can read about that here. That's important to me. 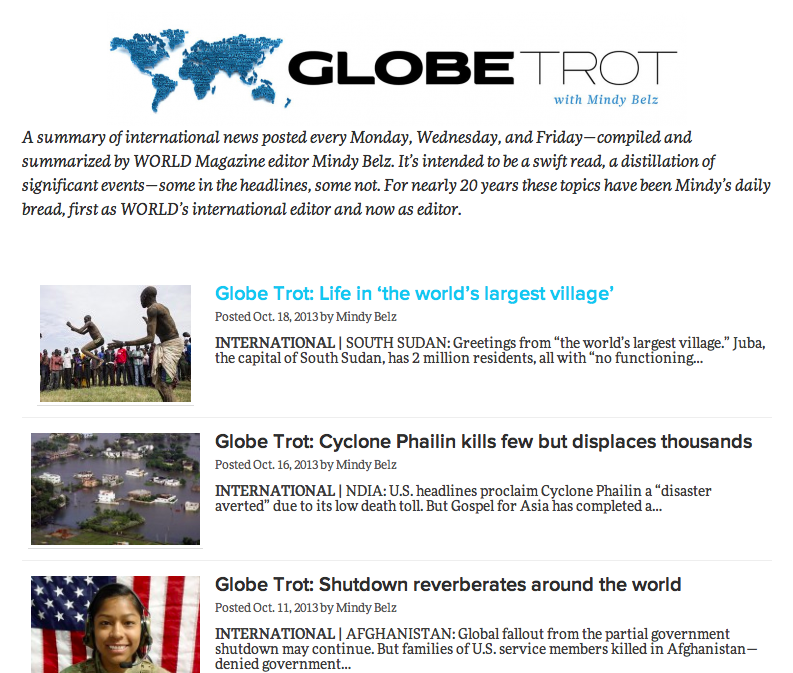 It's not hard to find news that is presented with a secular worldview; that's all I see and hear. Trak (along with each student magazine) is published monthly (not in May or December). In addition to the print magazine, there is a corresponding website available, where students can read articles and other fun stuff. I haven't showed this to my girls yet, because frankly, they don't need another reason to spend time online. However, they could view it on their iPads if they needed to read and were away from their print versions. 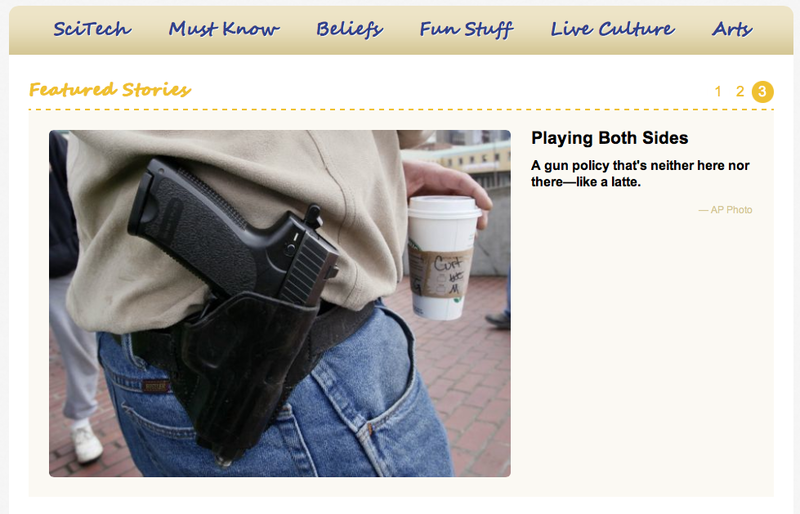 Some of the articles are the same as the print magazine, while some are website-only. There are some great teacher resources to go along with the student magazines. There are several biographies on important historical figures from all time periods, and the teacher's version has study questions. We're studying the Middle Ages this year, so I went to the page to see what I could find, and there were several: King Alfred, Charlemagne, and Joan of Arc, to name a few. If we don't have time to read an entire book on a particular person, these short, 3-page biographies are a nice way to fill in gaps on someone we should know about. They include a section called "Bible2Life," which discusses how the subject of the biography lived their faith, and also a section titled "In That Day," which is a list of other events happening when the person lived, to help you put them in historical context. 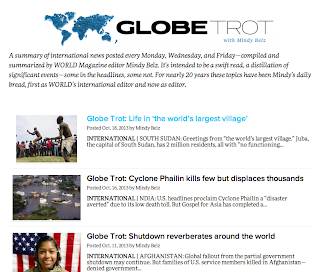 There's also an international news summary, called "Globe Trot. "I really liked that feature of the website. The one drawback to Trak is, as a monthly publication, it's not really daily or weekly news, if you know what I mean. 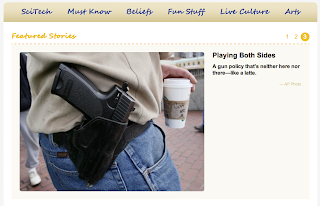 This page on the website provides more current news. My girls and I had some great discussions as we read through our magazines. I had them choose one or two articles that piqued their interest, and we talked about them. We talked about everything from trampoline safety to whether or not the government has the right to our cell phone and internet usage information. It was interesting to hear their opinions, and I tried to play devil's advocate to help them see both sides of the issues we discussed. I like both Trak and World Magazine for my family. Even though they are Christian publications, I didn't agree with every article - and that is a good thing. That means I'm thinking about issues, and so are my girls as we talk things through. will definitely keep our subscriptions, and I'm going to check out the 1st grade magazine for my little man. 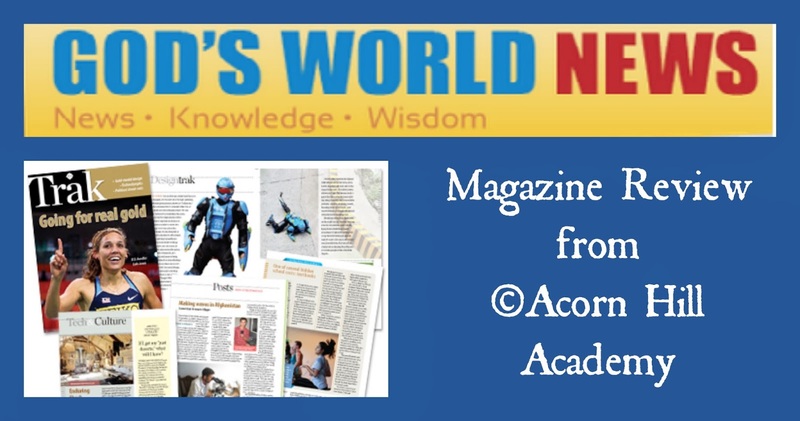 Each version of the magazine is available from God's World News for $28.00 per edition (there is a discount when you subscribe to multiple editions). There are discounts available for homeschool groups and schools, too. Click to read more reviews of God's World Magazines from the Schoolhouse Crew!